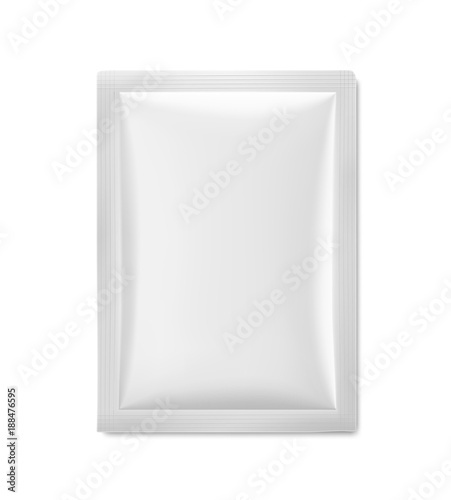 Universal mockup of white blank sachet. Vector illustration isolated on white background, ready and simple to use for your design. The mock-up will make the presentation look realistic possible.